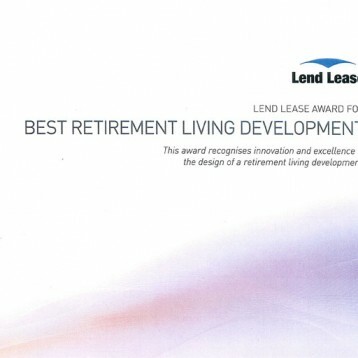 Novacare Busselton Village was selected in February 2015 as one of the 4 national finalists for the Lend Lease Award for the Best Retirement Living Development in Australia in 2015. The Property Council Award recognises innovation and excellence in the design of retirement living developments in Australia. Novacare Busselton was the only finalist selected from WA for the retirement village award for 2015.